1986 Vice President and Climbing School Director. A few of his LAM trip reports are here. 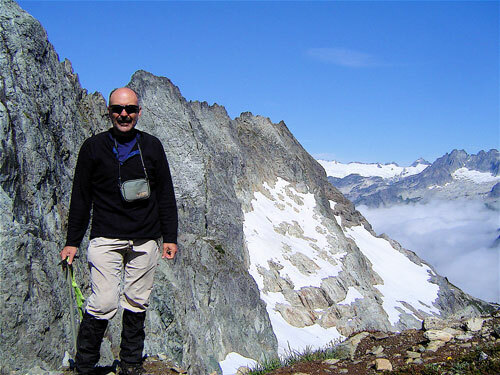 Dennis has been involved in mountaineering activities for the past 37 years. His first trip was a Grand Canyon backcountry adventure in 1973 lead by Merlin Wheeler. Dennis took the Los Alamos Mountaineers climbing school in 1974 and has been continuously involved in outdoor activities ever since. His Early Mountaineering experiences focused on Arizona canyon trips, local rock climbing, climbing Colorado's 14ers, climbing volcanoes in Mexico, mountaineering in the Pacific Northwest and caving in southern New Mexico. He took up whitewater kayaking and canoeing in the late 1980s and the 1990s. Boating and alpine skiing being his main interests at this time, he became less active in the Mountaineers. He renewed his Mountaineers involvement in recent years by participating in winter hut and yurt trips, mountain bike trips, backpacking trips, and in Bill Priedhorsky's wonderful canyon trips. 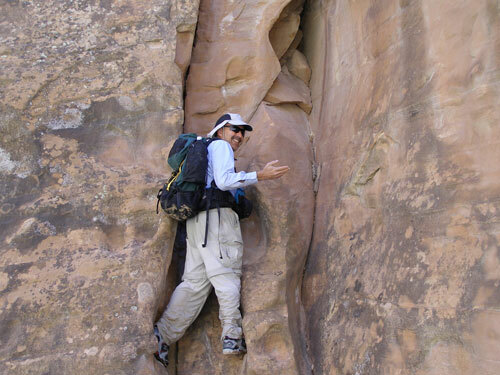 Dennis is not currently a rock climber but he maintains an interest in mountain climbing, several forms of skiing, white water boating, mountain biking, backpacking and day hiking. Dennis is a general outdoorsman and mountaineer who is competent at many activities but not necessarily an expert at any. He recently retired from Los Alamos National Laboratory after 35 years of work in various aspects of nuclear material management. This is Dennis' second stint as President, having previously filled this role in 1987. He also taught the climbing school in 1986. Hopefully his past experiences with the club will provide some useful perspective now.